I had a session yesterday that exemplified why I do this work–the client and I were both stunned and overjoyed at the profound shift in perception and feeling that emerged. It’s often hard to quantify exactly “what happened,” but over the past 25 years I have honed a method to my madness, and what I do is a combination of art-form and a science. I’d like to let you into my world and share the joy I get from this profession, the thoughts behind my movements, and the ways you can begin to think about your own dilemmas which may open up new hope and possibilities. There is no one-size-fits-all. People are complex, and we have to consider “all the moving parts.” In 1997 when I was a student in the post-graduate Marriage and Family Therapy Training Program at what is now called Denver Family Institute, my mentor Steve Litt, LCSW would watch my session videos and hold up his bronze sculpture of a question mark. Unrelentingly, he would require me to explain my reasoning behind a question I asked or move I made. He trained me early to be curious, diligent and intentional. Last week in my 5th intensive training module in the PACT model of therapy, founder Stan Tatkin challenged me the same way, commenting “if I stopped you at any point in a session, could you tell me WHY you were doing what you were doing?” I think a lot about this stuff and usually spend more hours outside the therapy room thinking about my approach and how to be helpful than the actual time I spend in the room with a client. During the initial sit-down with a person or a couple, I am wondering “Who are these people? What do they want? What are they up to? Where are they going?“–It’s comparable to being an excavator. I was taught early on to consider seeing our problems as part of a giant system, and that the possibilities and solutions lie in the ways the parts relate. My recent training in the Psychobiological Approach to Couples Therapy (PACT) developed by Stan Tatkin, PsyD has deepened my understanding of humans as systems. Just what are these “parts”? How quickly do you go from zero to one-hundred? When the limbic brain hijacks the higher reasoning brain (cortex), our thinking, feeling, and doing are directed by pre-programmed self-protective scripts— this is good for survival but can have dire consequences for relationships. In therapy, we have top-down and bottom-up approaches to help the limbic brain develop more wiring to the higher reasoning centers. The goal is to move people towards a greater capacity to manage their emotions without flipping the brain switch into flight, fight or freeze. From our very first heartbeat, we are “learning”- storing and encoding information about our world and how to relate to it. Depending on our experiences, we learn life is more safe and secure with others, or we learn that people are unpredictable or downright unavailable. Think of this learning as “software” programmed into our Being which governs our interactions with others. Most often, marital and relationship difficulties are the result of this unconscious software at work— therapy is much about upgrading our attachment behaviors from version 2.0 to an updated version 4.0. There is nothing like motherhood that has made me appreciate and have a sense of wonderment about how we become who we are from the origins of a single cell. The brain, the nervous system, hearts, our gut…. The innate intelligence that goes on behind the scenes is amazing. This “moving part” of the puzzle has to do with understanding the physical structures of the body—the “hardware” of a person. We know childhood trauma and neglect change the brain; we know that with a “hot” temporal lobe rage can spiral out of control. It was once thought that our “hardware” was unchangeable, but we now know that we are neuroplastic- that new connections and tissues are being created every moment of our existence. We can turn on and off gene codes by where we put our focus and attention. There’s lots to consider with this cog in the wheel and understanding it can have positive effects on the outcome of therapy. Great relationships are built on the repeated experience of people being attuned and responsive to each other. Enough of this, and relationships are high trust and secure. Besides having the capacity for emotional self-regulation, decent attachment software, and adequate “hardware”, relationships take good Rules of Governance. These are things like “when you hurt someone, apologize” and “don’t make too many pro-self choices at the expense of your partner”. To get you started, take a look at Stan Tatkin’s 10 Commandments for a Healthy Relationship. 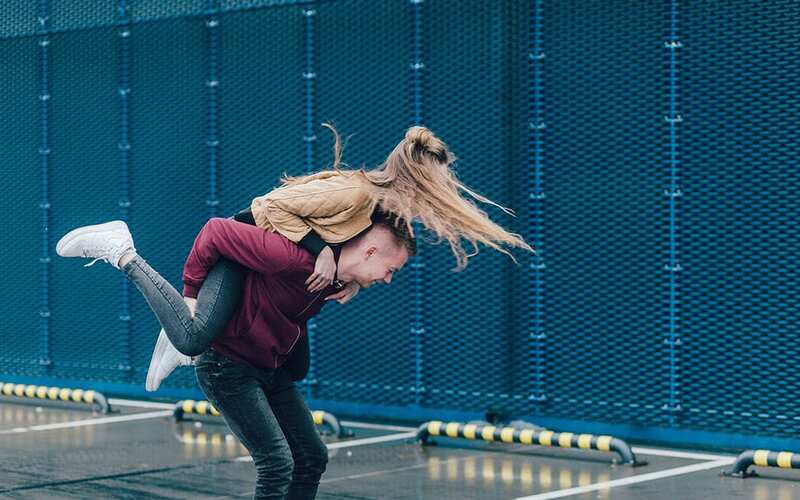 Besides the more obvious ways we act in a relationship, the field of Interpersonal Neurobiology has uncovered that many of the ways we affect one another are at a physiological and biological level. There is research to support the idea that we pick up “bad vibes” from others—we synchronize with the heart rhythms of those around us. Further research has been done studying how an individual’s thought and heart-based intentions affect the earth’s atmosphere, and it just so happens that real phenomena can be observed in response to changes in group thought and prayer. There is so much being discovered about the relationship playing field and that interactive regulation is a real, tangible thing. As a Therapist, I find this extremely exciting, relevant and applicable! Therapy is so much more than visiting about problems—it’s about uncovering the complexity of “what is really going on” and most importantly, potentiating the enormous possibilities for change and growth! I look forward to sharing more about these “Moving Parts” in my next Blogs. Thanks for reading, and feel free to reach out to me with any questions or thoughts! My Facebook page at https://facebook.com/JeanManzLMFT/ is a great way to interact with me!